✅ Verified Review | The flight from Madrid to Santiago de Compostela was on time on a busy friday afternoon, the cabin was very clean, good and friendly service provided by the cabin crey. Iberia Express provides a very good inflight entertainment system for this short-haul flight of about one hour. Seating comfort is standard but nothing special. "seat given to someone else"
Gran Canaria to Heathrow. My prebooked exit row seat was given to someone else on a full flight. 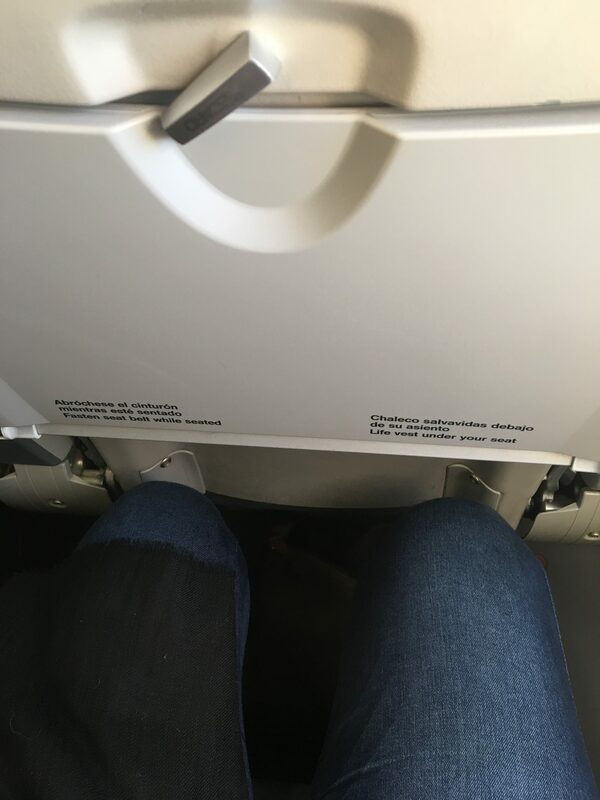 I was allocated another seat where the legroom was woefully tight. I can't remember feeling so uncomfortable especially as I was 18 euros poorer for having prebooked 14A and being allocated 23A. I was asked by a young couple to give up my window seat so I had an aisle seat which wasn't much better as the movement of people up and down to the toilets encroached upon my comfort. On the plus side, the flight was ahead of schedule and the cabin crew were again most charming and efficient. I would willingly have paid a bit extra if they had taken a few rows of seats out but would only fly this airline again if my seat requests (at extra cost) had been honoured. London Heathrow to Gran Canaria was booked through British Airways and operated by Iberia Express. Terminal 5 is fine, the information / check in lady was charming. 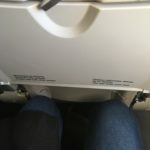 I had pre booked an exit row seat and this was fine apart from being a bit on the firm side. Three hours into the flight found me struggling to get comfortable. Aircraft was new looking, bright and cheery with good music. Cabin crew were very smart young ladies who seemed to enjoy their work. The flight landed 25 minutes ahead of schedule which saved the day a bit comfort wise. 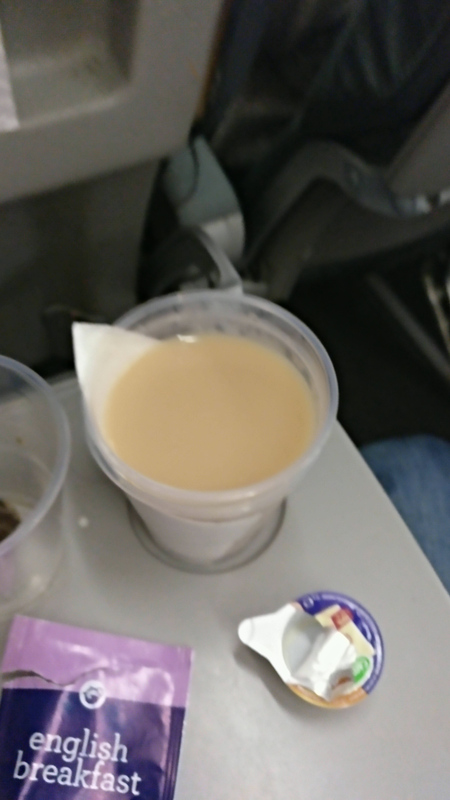 There was no catering supplied unlike BA who offer a drink and a snack on their services. You could buy refreshments but I didn't bother as I had eaten at Heathroiw and was going to drive when I got to Gran Canaria. A positive experience - baggage reclaim and car hire went very smoothly. Horrible experience. Although we paid in advance for our luggage, I just had to repay for it at the airport in Madrid! No one of their staff had a clue - however some lady at the luggage counter finally found our reservation and proof of original payment, but was unable to reimburse me! Ripped off I feel. Terrible experience with Iberia Express from Copenhagen to Madrid. Rubbish seat selection - a middle seat. Crew were mediocre at best, and that is being more generous than merited. The air hostess tore my carry-on bag out of my hand at shoved it into a random compartment without even bothering to tell me where it was. 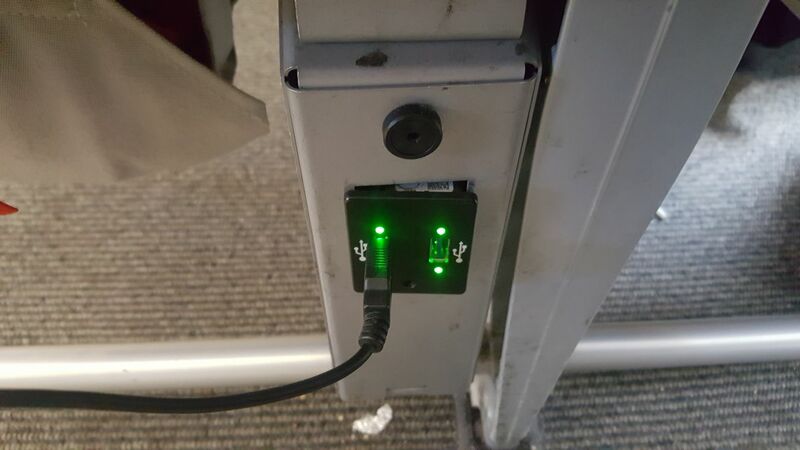 I had to wait for the rest of the passengers to alight before being able to find it. They had the nerve to charge 2 euros for a drink of water on a three-hour flight. 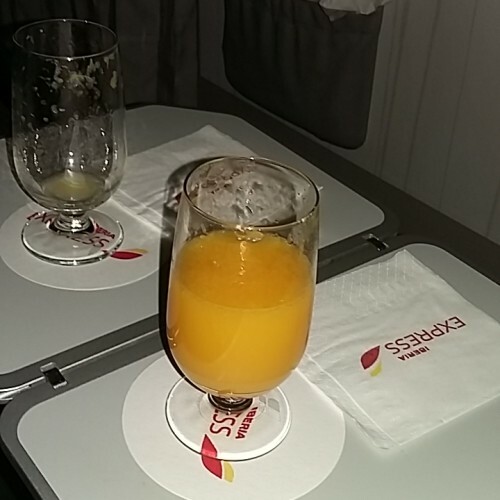 "meal was ok, very basic"
Pre-boarded Iberia Express aircraft flying from Las Palmas to Madrid and took up our seats in 1D and 1F bulk head. Very good space, middle seat left empty as per other European Carriers, which gave a good level of space. Newspapers were offered before take off. Crew were very friendly and attentive throughout the flight. 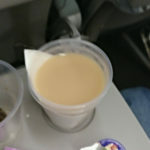 Drinks offered just after take off, and breakfast was served just after. The meal was ok, very basic, with cold toasted bread with a tomato salsa and olive oil, fruit yoghurt and coffee. Departed on time and landed ahead of schedule. Iberia Express don't care about passengers. Flight delayed 40 minutes by a chaotic boarding process, passengers divided among 6 or 7 groups but it was not clear who had to board first. As a result passengers from all rows were boarding at once making the process very slow. They had allocated children emergency exit seats so flight attendants had to shuffle passengers around. Plane has tiny seats, poor legroom, no refreshments. There wasn't any entertainment nor screens with flight route. "haven't heard anything from them." 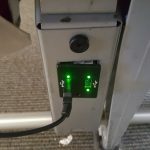 I am very frustrated with the experience I had last Friday using Iberia Express service. I had a connecting flight Dublin-Madrid-Valencia. The plane was supposed to leave at 18.05, but it left around 20.30, which made me miss my connecting flight to Valencia. I had to stay the night in Madrid and spend the money on hotel and train ticket to Valencia on Saturday. What is even more frustrating that I got the email that I can take the next flight to Valencia at 6.36am - but this email was sent to me at 6.36am? I have emailed to their customer service the second I got back, but I haven't heard anything back from them. Worst experience! Iberia Express TFN to LHR on A320. Good points: Convenient route and flight times. Spacious and quiet lounge with good selection of refreshments at TFN. Orderly and efficient early boarding with early departure. Lovely flight crew - friendly and attentive. We had the two rows of the business cabin to ourselves. Newly refurbished Iberia Express slim seats - more space than previous configuration (and quite comfortable) which allows you to stretch out your legs as long as you aren't in row 1 - row 1 is perfectly fine but restricted because of bulkhead. 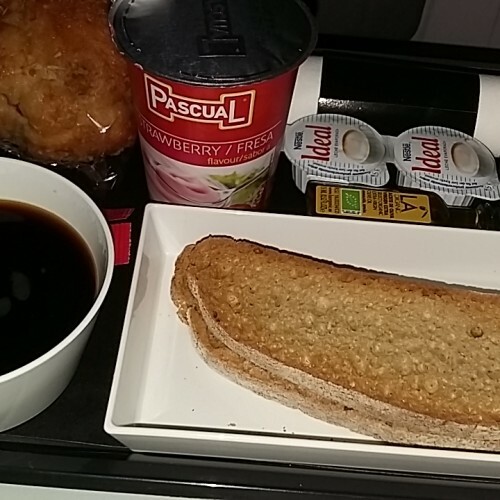 Even though the flight was scheduled to leave at 11:20, we were served 'breakfast', which turned out to be a better offering than the lunch we were served on the outbound sector. Plenty of food and drinks. Arrived early at LHR T5, and straight through passport control. Bags arrived a few minutes after us. Not so good points: On-line check in not possible. Wifi not worth bothering with as so slow.